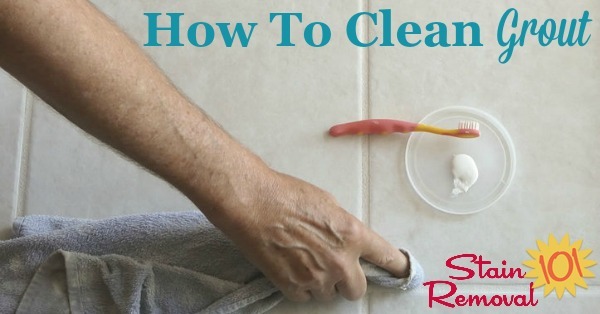 Here is a round up of tips for how to clean grout, both on a routine basis and also when the grout has become stained, including both DIY remedies and cleaning product recommendations. Grout is very common in and around our homes, especially in our kitchens and bathrooms. It can be difficult to get to, which is unfortunate because it easily gets dirty and stained. 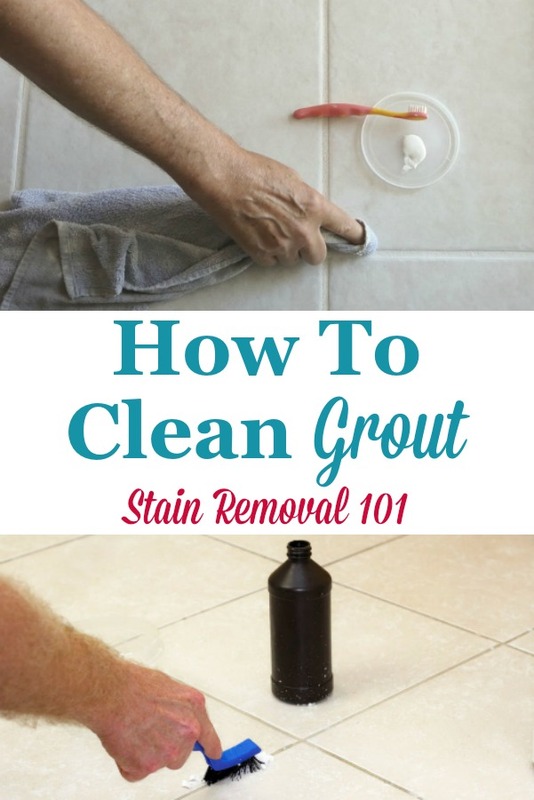 Please share your tips below for grout cleaning, telling me what works for you. 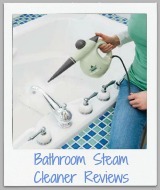 Make sure you say whether you were just doing a general cleaning, or removing a specific type of stain from the grout. Further, please share whether the grout was colored or white, since this can impact the ways you can clean it. 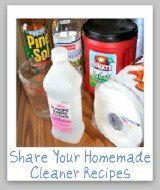 You can also share your homemade grout cleaner recipe here, if you make your own. 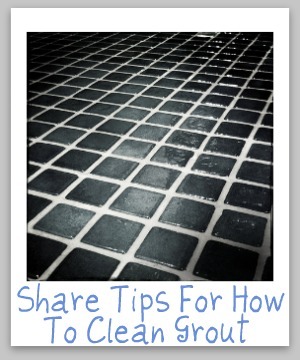 Grout can easily get dirty and stained, so share your tips with me for how you clean it up.